A very busy but fun Xmas & New Year!! Wow – it feels like so long since I blogged, I took an unintended long break over the festive period due to being just so busy!! The run up to Christmas was crazy with so much going on and so many things to do and Miss M and I both felt a little poorly during the week before. 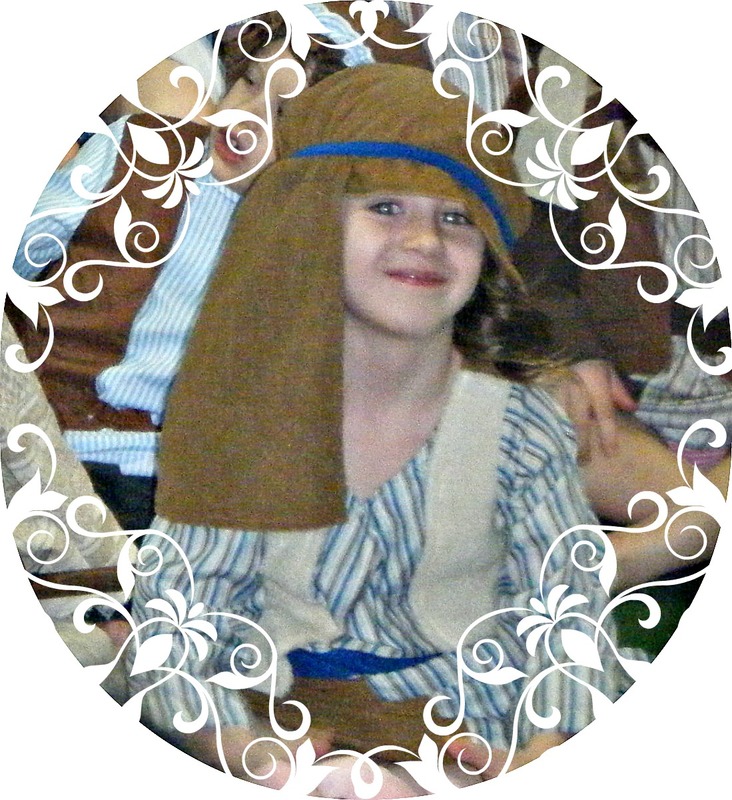 It was so exciting to see Miss M in her first school nativity, where she chose to play a shepherd. I was slightly annoyed though when the show started and proud Mister B couldn’t help himself and called out to his big sister upon seeing her a number of times and the mother sitting in front of me turned round and told me to leave unless he kept quiet!! My parents arrived a few days before Xmas which was nice and gave me some time to wrap presents – how many? – I wish I had counted but my arms were aching and fingers sore by the time they were all done. But the fireplace didn’t disappoint on Christmas morning when Santa had done his deliveries. Miss M and Mister B were so excited and didn’t know where to begin. We had a lovely Christmas day although I have to say by far the most exhausting for me – I don’t think I got to sit down other than to eat Christmas dinner!! After Christmas was over we had a few days to relax before preparing for Miss M’s birthday party on New Year’s Eve. I cheated this year and decided to hold it at the local leisure centre with a bouncy castle and despite costing double the amount that I spent on a party last year for the same number of children I have to say I was slightly disappointed with the overall way it ran and will definitely go back to doing a party myself again next year. I also cheated on the birthday cake!!! The first year I haven’t made my children a homemade cake but I did make it up slightly by baking some yummy chocolate cupcakes, iced in buttercream and finished with a personalised pink M&M!! 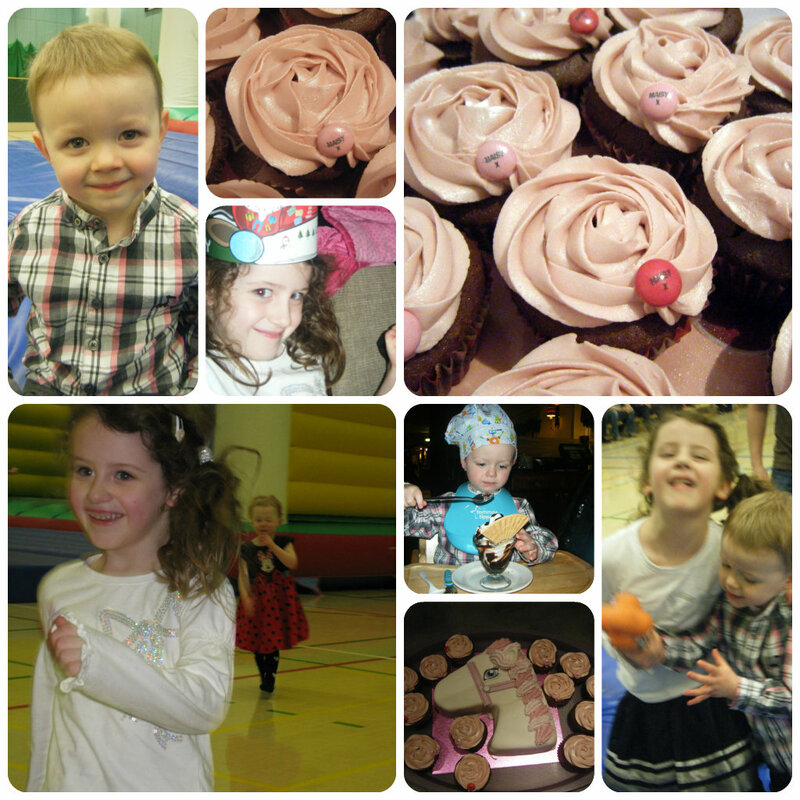 On New Year’s Day my gorgeous little Miss M officially became 5 years old!! Where have the last five years gone? 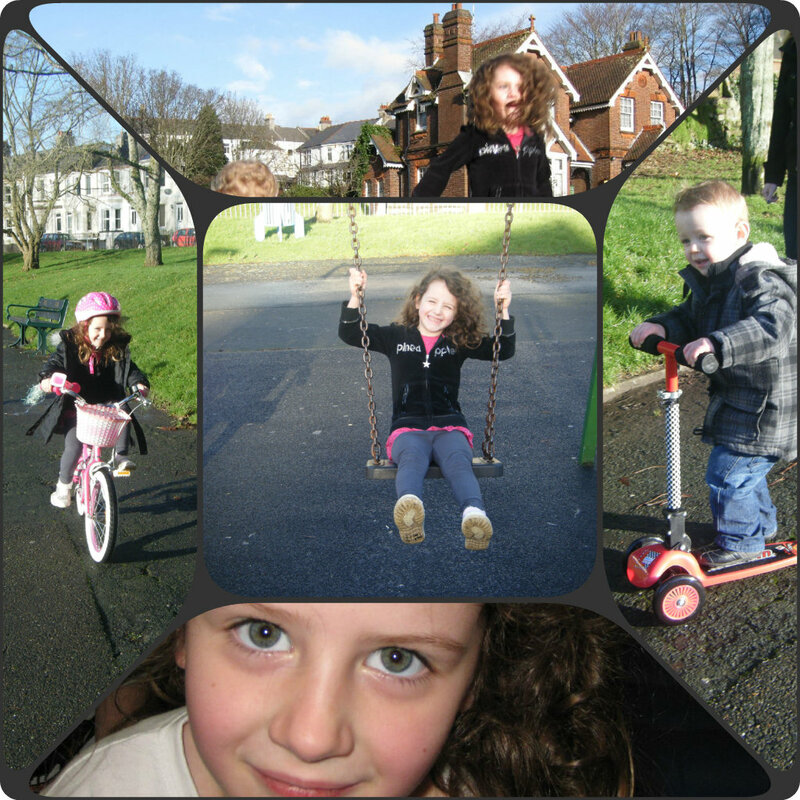 We had a lovely day, which started sunny so ventured down to the park on Miss M’s new bike and Mister B’s new scooter. We then enjoyed a birthday lunch with family before opening birthday presents and relaxing for the rest of the day. 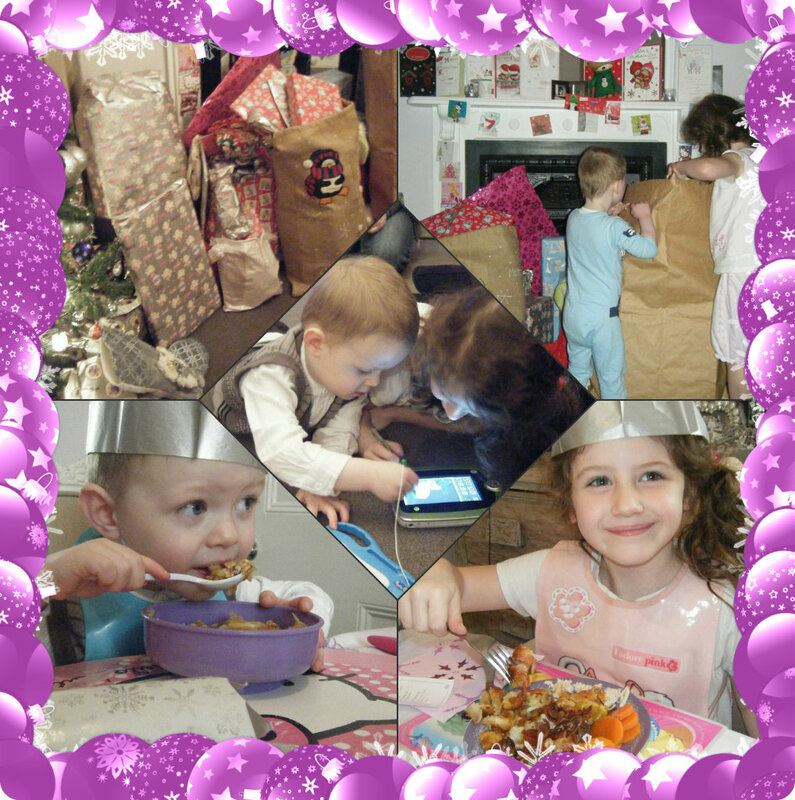 So although busy, we have had some lovely family times over the last few weeks and I look forward to see what 2013 brings us!! New Year is always a hard concept to get across to little ones, particularly Miss M who’s birthday falls on New Year’s day. She finds it hard to grasp the concept that her birthday is next year when it is only a few weeks away. So when I was offered to review the updated version of a traditional German tale by poet Eduard Mörike about the magical journey of Sylvester as he travels by moon horses to Earth to deliver the New Year and return the Old Year back to be rejuvenated by the River of Life, I thought it’d be a great opportunity to talk about the change from one year to another with Miss M as well as enjoying a story with lots of lovely colour illustrations. The book is a lovely size with many more pages in it than I expected. The pages are strong and of high quality, with each one beautifully illustrated. 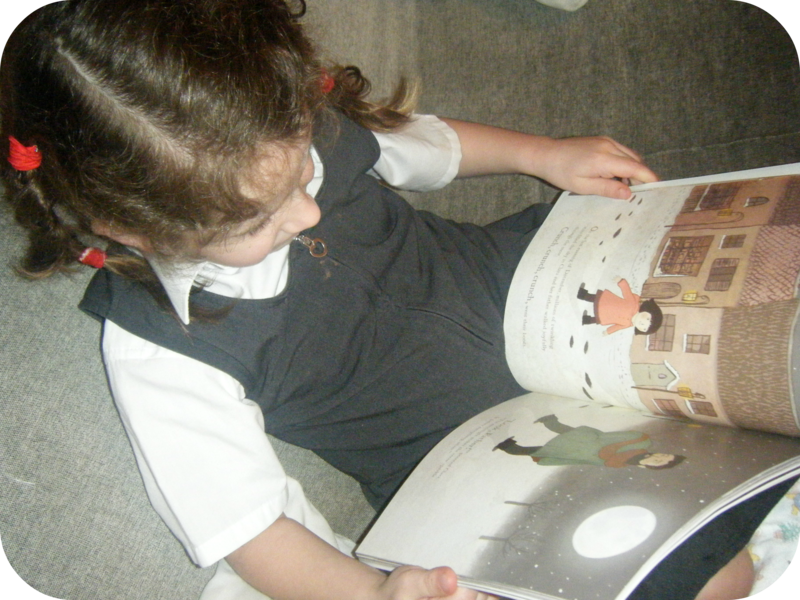 The story is a good length too, being aimed at a child of 5+, it is neither too short or too long with just a couple of lines of text on each page ensuring the child stays focussed and interested in the story. I enjoyed sitting down with Miss M in the evenings to read this magical tale, it is perfect for this time of year, with a festive feel to it – although Miss M did ask if Sylvester was Santa at one point with his long white beard!! It has given Miss M a better understanding of the concept that as one year goes, a new year comes in and she did enjoy the magical tale that went with it. I think this is a really enjoyable story to sit down to read especially in the run up to New Year and has a traditional feel to it without being dated. I look forward to reading this many more times with Miss M on the run up to her 5th Birthday at New Year!! Sylvester and the New Year is published by independent publishers Far Far Away. You can follow them on Facebook or Twitter. And if you wish to purchase a hard back copy of this book for £9.99 it can be found here on Amazon.